Cyprus wedding packages all inclusive consist of everything you could wish for to make your big day a perfect one. It’s one of the world’s most delightful locations for a wedding at any time of the year. And with an all inclusive package, the bride and groom can relax, knowing that every little detail is taken care of, without it breaking the bank. There’s no better way to celebrate the happiest day of your life. But what makes Cyprus so special and what can you expect to receive when you book an all inclusive wedding experience there? Read on to find out more. Not only is Cyprus beautiful, providing a wonderfully scenic backdrop to any wedding, it’s also known as the island of love. In Greek mythology, the goddess of love, Aphrodite, was born off the coast of the island, rising from the sea’s foam. So Cyprus wedding packages all inclusive are a romantic start to any marriage! If you’ve always dreamed of an outdoor wedding, you’re also almost guaranteed sunshine and blue skies, whatever season you marry in. That’s because Cyprus is blessed with 326 sunny days a year. Naturally, you’ll worry about the legalities, but rest assured, marriages arranged through all inclusive wedding packages abroad Cyprus wide are legally recognised worldwide. As a bonus, over three-quarters of Cypriots speak English, so this stunning island will feel like a home-from-home. Finally, Cyprus isn’t just a spectacular place to marry, it’s also a lively place to hold your hen and stag parties and has plenty of romantic locations to honeymoon in too. All in all – perfect! Why Opt Especially For All Inclusive Weddings In Cyprus? If you’re convinced about the location, you may now be eager to start planning your special day on this gorgeous island. A few people thrive on the stress of organising a wedding, but for most, taking advantage of tailored packages for all inclusive weddings in Cyprus will be ideal. Essentially, every detail is taken care of by experts with local knowledge, ensuring you get the best services at the most competitive prices. From the wedding planning to the ceremony itself and the reception afterwards, even down to the cake itself, you retain control of the major decisions, but the hard work of booking and organising everything is taken out of your hands. Your day is ultimately customisable so you get exactly what you want within your set budget. Best of all, if you choose the right firm, arrangements will be handled by an experienced, professional and English-speaking wedding planner, so you’ll never feel out of your depth or in the dark about what will happen on your big day. 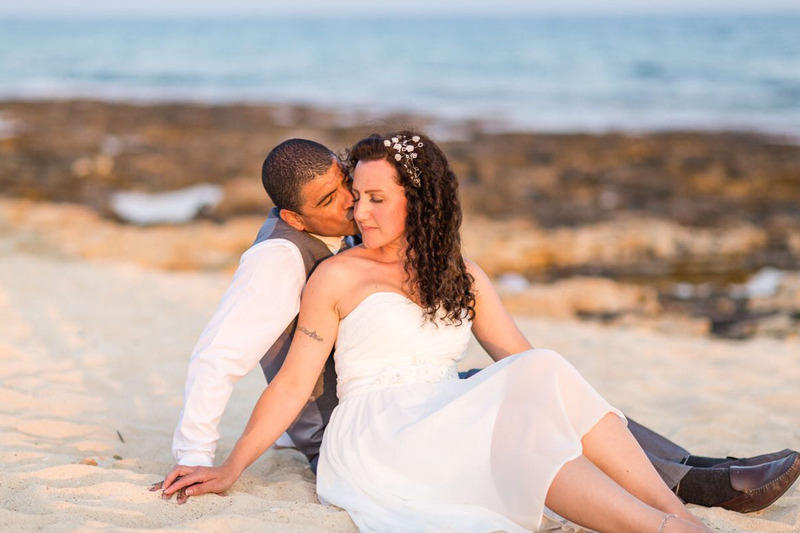 At Beach Weddings by Carole Cyprus, we’re a family-run business, so we understand the importance of making sure that your wedding day really is the best of your life. While you retain control over the size, formality and style of your wedding, we take all of the hard work out of the planning, sourcing suppliers and so on. Our Cyprus wedding packages all inclusive are second to none. You can see a host of testimonials from past couples on our website at http://www.weddingsincyprus.co.uk, and you can book our services online too. Alternatively, if you have any questions, contact us and we’d be delighted to talk you through the service we provide. You can call us or send an email to lynette@weddingsincyprus.co.uk. Welcome to our Cyprus Wedding Packages All Inclusive section. Beach Weddings By Carole are a Registered Limited Company. UK license number 10247514.